ASFINAG is involved in many building projects. 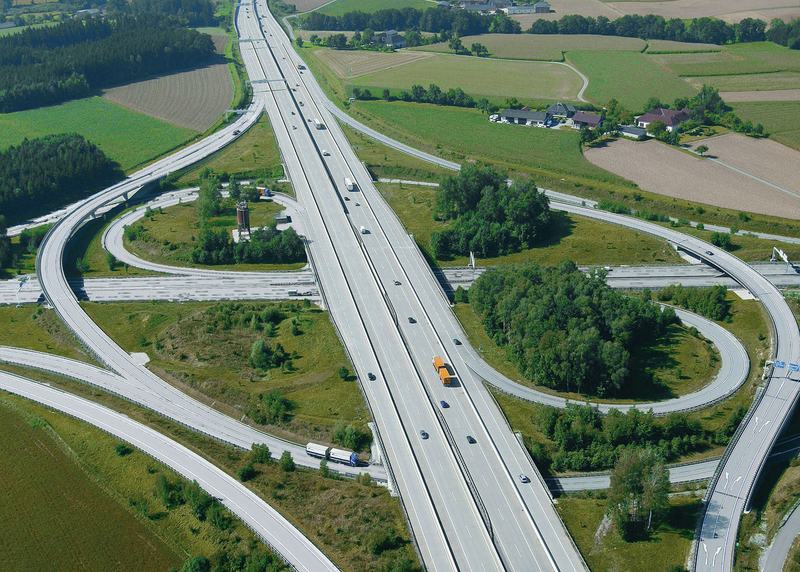 We not only build motorways and expressways, but also access roads and exits (=junctions), rest areas and traffic control areas, noise protection measures, motorway maintenance centres and traffic management systems. In short: We ensure that the network of motorways and expressways is safe and meets people's needs. With its construction projects, ASFINAG stimulates the Austrian economy and employment. 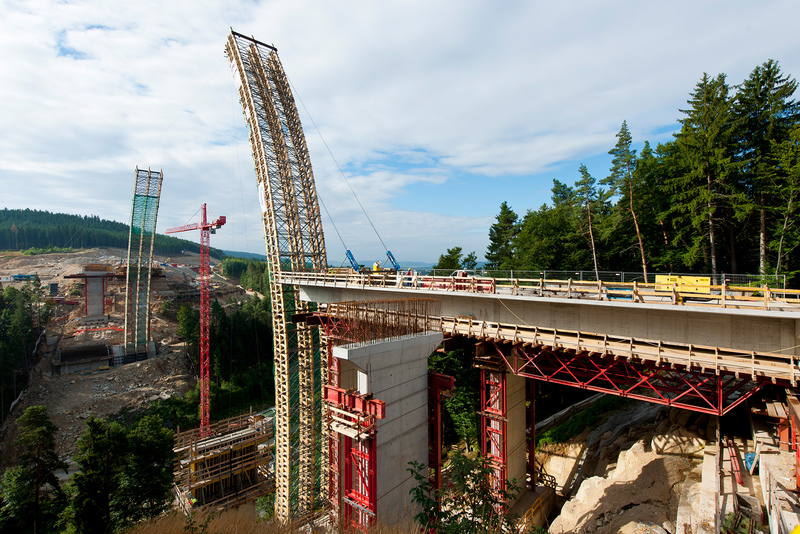 During the current six-year programme from 2016 to 2021, 7.3 billion euros will be invested in infrastructure. This makes our projects very important for the national economy, as they strengthen both the local communities and Austria as a business location. 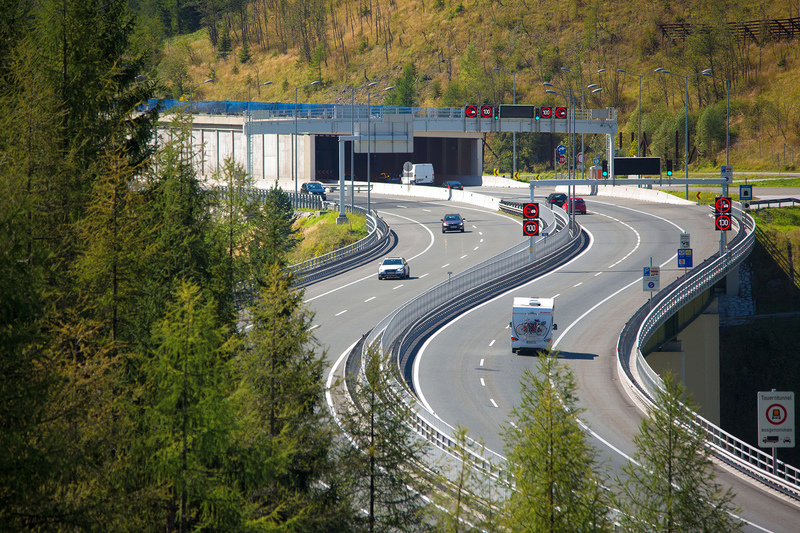 What's more, we invest a lot in road safety, better international connections to Austria's neighbouring countries and the necessary relocation of traffic to the main road network. We strive to make the motorways and expressways available to our customers 365 days a year. To achieve this, we optimise our construction sites and have developed clear customer relations criteria in order to minimise obstructions for drivers due to construction sites. These parameters concern the number of large construction sites on defined routes, maximum acceptable delays due to construction work and the length of the construction sites. We aim to optimise the existing network with regard to capacity and to ensure excellent availability and a good service for our customers in line with today's needs. Building motorways and expressways is very complex and multi-faceted. Throughout the planning and implementation stages, we are in contact with various stakeholders. This challenge has to be dealt with already during the planning stage. For ASFINAG, getting citizens involved is an essential part of modern and responsible road planning. Providing information early and being transparent thus ensures a broad consensus with our customers. Getting citizens involved does not just mean providing sufficient information; above all it means the active participation of the citizens in the planning process. This goal poses major communicative challenges, which we meet through what's called an open planning process. This includes the regular hosting of local work groups, where we develop and discuss solutions together with our project managers. Providing information and involving the public, political decision-makers and other interest groups is very important to us for achieving consensus solutions and increasing acceptance. Through proactive public relations, we present the advantages and disadvantages of a project in a transparent and comprehensible manner. Finding a compromise between high-quality data and a data volume that is manageable is often a challenge for us. We always make a great effort to present the enormous amount of technical documentation in a language that is as non-technical and as understandable as possible to make it accessible to anyone who is interested. This is the only way to ensure that the process is understandable and transparent. The ASFINAG motorway and expressway network currently comprises approximately 2,200 kilometres. There are currently 367 junctions to access and exit the main road network. Additional junctions are discussed and coordinated with the Federal Ministry for Transport, Innovation and Technology (BMVIT). Based on the data collected from the ESA, ASFINAG performs a business management review in the form of a project profitability analysis. Using a present value analysis over a longer review period, all outlays made by ASFINAG (initial investment, structural and operational maintenance) are compared with the additional expected toll revenue from the new junction. A possible negative present value will be financed by the interested parties. This is how we arrive at the amount of third-party co-financing with the calculated co-financing needs as well as any costs for building work on the subordinate road network.